As we begin a new year, we’re proud to continue maintaining a healthy, robust product suite that meets the needs of all our customers. To sustain our focus on providing comprehensive, lifetime financial solutions for our clients, our patented joint Asset-Care® coverage is now available with 2% or 3% acceleration, and our single life Asset-Care policies also offer a 4% acceleration option. Each year, pursuant to tax law, the contribution and deduction limits for various accounts index for inflation. Our Advanced Sales team prepares Tax Tables at a Glance, which summarizes the new numbers for the year, and updates the Asset-based LTC Tax Guide for individuals and businesses, which reflects the changes for LTC. Our Care Solutions rate calculator quotes Annuity Care® II and all Asset-Care® products. It's easy, quick, accurate and consumer-friendly. Share the link with your producers today! Normal hours will resume on Thursday, Jan. 31. You may experience longer than normal wait times Jan. 28 - 31. Non-urgent requests can be emailed to your internal sales partner. All emails received will be responded to no later than noon on the following business day. Thank you for your support and business with OneAmerica! We’ll provide up to five years of history. We’ll fulfill up to four requests per year, per policy. We’ll provide premium history for policies on direct billing but not for policies on automatic payment processing (APP). For consistency, our accounting detail will reflect the “applied” date instead of the “received” date. We appreciate the opportunity to serve you better and will continue to make improvements. Thank you for your business! Events: Qualify by Dec. 31! 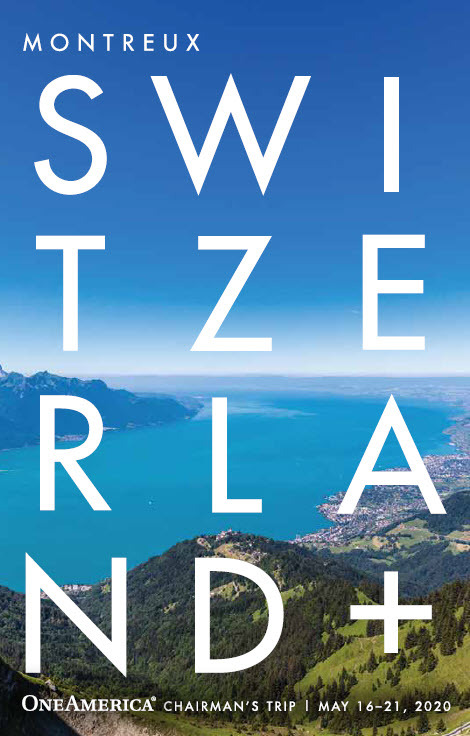 Set amid the breathtaking beauty of the Swiss Alps in spring, the destination for the 2020 OneAmerica Chairman's Trip is magnificent Montreux, Switzerland, May 16-21, 2020. By invitation only, you and your guest will experience luxe lodging, rich culture, indulgent tastes and beautiful sites. Qualify through Dec. 31, 2019. 2020 Independent Leaders' Conference: Tropical Nevis awaits! 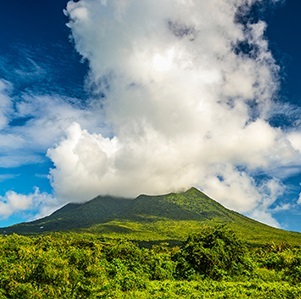 The charm and authenticity of Nevis, a small island in the Caribbean, await when you qualify for the 2020 OneAmerica Independent Leaders’ Conference. Qualify through Dec. 31, 2019, and stay tuned for more details! For use with financial professionals only. Not for public distribution. OneAmerica® is the marketing name for the companies of OneAmerica. Products are issued and underwritten by The State Life Insurance Company® (State Life), Indianapolis, IN, a OneAmerica company that offers the Care Solutions product suite. Asset-Care form numbers: L301 and R501 and SA31. Annuity Care form numbers: SA35, SA34 and R508. Not available in all states or may vary by state. The companies of OneAmerica®: American United Life Insurance Company®, The State Life Insurance Company®, OneAmerica Retirement Services LLC, McCready and Keene, Inc., OneAmerica Securities, Inc., and Pioneer Mutual Life Insurance Company®, a stock subsidiary of American United Mutual Insurance Holding Company. © 2018 OneAmerica Financial Partners, Inc. All rights reserved.